​ The 2017 Hyundai Sonata protects your family through a variety of active and passive safety features. These features create a dependable vehicle for new and seasoned drivers alike. Along with expected standard features like airbags, seat belts, and antilock brakes, the Sonata also integrates newer technology into its safety feature lineup. Explore the expanded safety features below before visiting Underriner Honda for a test drive! With the help of a camera and radar sensor duo, this feature applies the brakes in the case of an oncoming accident between the speeds of 5 to 50 mph. As a standard feature in both the Limited and Limited 2.0T trims, Blind Spot Detection warns you visually and audibly when another vehicle or object is in the driver’s blindspot. Companions to Blind Spot Detection, Rear Cross-Traffic Alert helps while in reverse by warning you of vehicles approaching from the side, while Lane Change Assist gauges the speed of oncoming vehicles to determine the how safe (or unsafe) lane change would be and alerts driver if unsafe speed detected. Standard across all Sonata models, this feature cuts down on wheel spin and promotes even acceleration so the vehicle can more easily grip and navigate rain or snow. This feature is particularly helpful in Bozeman, MT winters. The 2017 Sonata couples safety with technology through features like Blue Link® Connected Care, which senses when airbags are deployed and notifies a response center through its Automatic Collision Notification and Assistance feature. The integrations further shine through the cameras and sensors used throughout the Lane Change Assist and Blind Spot Detection features highlighted above. You have control over how much technology and advanced safety features you need, too. 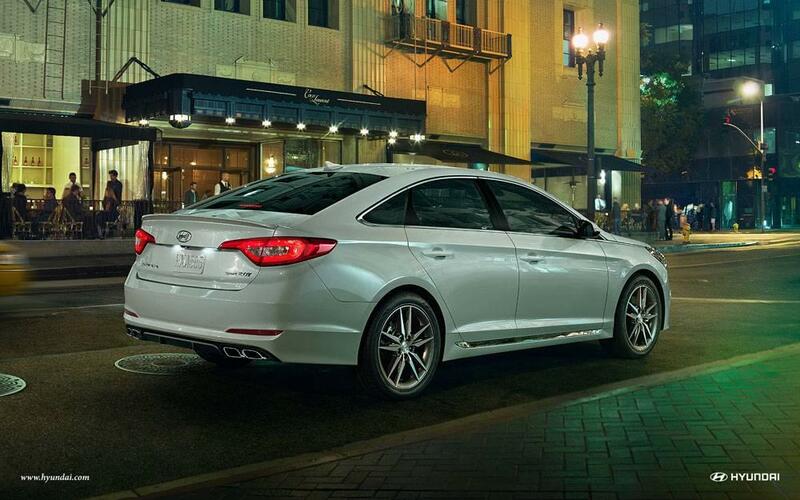 The Sonata comes in six different trims to suit every type of driver. The Hyundai Sonata is a critics’ favorite, and its safety features portray the ever-advancing technology becoming available to the auto industry. To learn more about the Sonata in its entirety, read about its performance specs and browse our current Sonata inventory. Once you’ve honed in on a model, contact us to set up a time to see it in person!